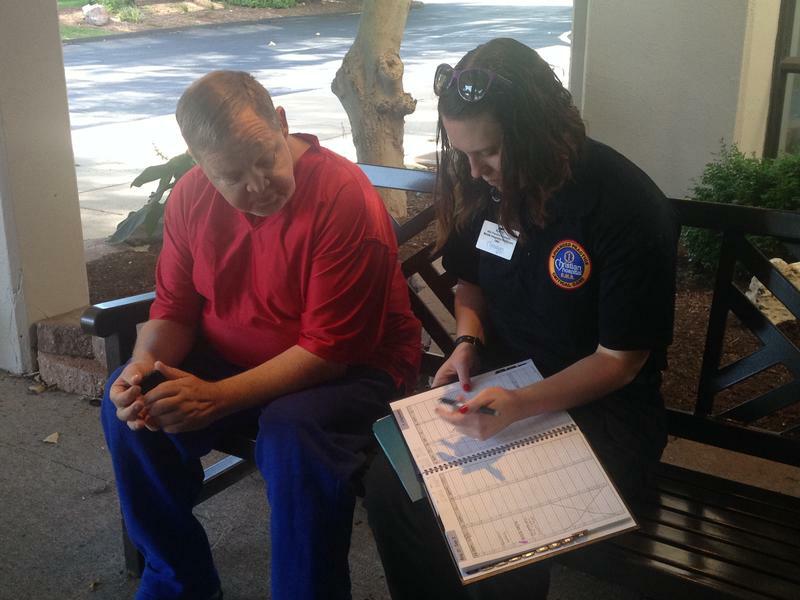 Christian Hospital paramedic, Katie Eisenbeis, right, schedules an appointment for one of her patients. Eisenbeis works for the hospital's CHAPS program, which works to reduce emergency room admissions by connecting people with preventive care. When the Affordable Care Act went into effect, many health-care economists hoped it would reduce the number of emergency room visits made by uninsured people. The idea was that if more people had health insurance, they would be more likely to have access to a primary care doctor and avoid the emergency room. New data released by the St. Louis Regional Health Commission shows that theory might be playing out. In 2014, St. Louis-area emergency rooms saw a 5 percent decrease in visits by people without health insurance. That only represents about 7,000 fewer visits, but it comes after three years of steady increases of the same size or larger. Some of this can be attributed to a small decrease in the number of people who are uninsured. Though the state legislature has voted not to expand Medicaid, many St. Louis-area patients have purchased coverage on the federal exchange, Healthcare.gov, which went into effect that year. The unemployment rate also continued to decline between 2013 and 2014, so new hires may have been able to get coverage. “With the high deductible plans that are now taking hold, people are thinking twice to go to an emergency room and run up a big bill,” said Rob Fruend, the commission’s CEO. Still, a lot of people are still seeking care in emergency rooms, said Dr. Andwele Jolly, who sits on the committee’s Provider Services Advisory Board. He’d like to see more on how these trends happen over time. “I think it will take time for behavior to change. For a long time, the emergency room was the primary care setting. So now with folks gaining access to insurance, hopefully, and getting a better understanding of how to use the system, they’ll find it more useful to go to primary care settings or urgent care centers,” Jolly said. A few hospitals did report increases in uninsured emergency visits, including Saint Louis University Hospital and Cardinal Glennon. Still, the largest portion of uninsured emergency visits went to just two emergency rooms: Christian Hospital and Barnes-Jewish Hospital. What is significant for 2014 is that those two also saw the steepest declines — about 5,400 fewer visits in total. "What we had was an overall decrease in the number of patients coming into the Emergency Department," said June Fowler, a spokesperson for BJC Healthcare, the nonprofit that manages both hospitals. The percentage of uninsured patients, she said, stayed relatively stable. "Some of it is likely attributable to people having more access to primary care. It could have been that it was not a bad flu season," Fowler said. That timing also correlates with the start of a care coordination program for Christian Hospital in north St. Louis County, which reduces emergency room visits by sending paramedics to provide at-home preventive care. There are no sirens or flashing lights as Katie Eisenbeis, a 26-year-old paramedic from Christian Hospital, parks her medical van on a tree-lined street in Ferguson. This is a house call. Two Metro passes and a flu shot, please. 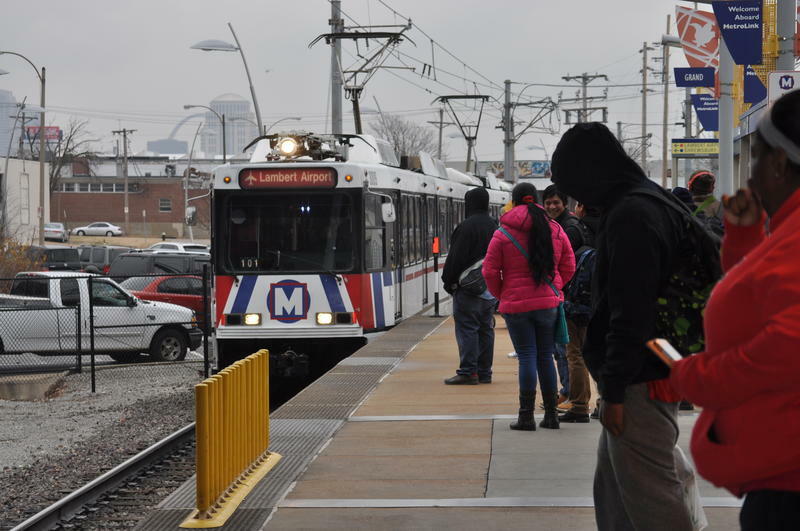 The parent company of Metro Transit St. Louis is looking into the possibility of building health clinics at Metro stops, particularly in north St. Louis County. Project manager John Wagner says the concept makes sense; transit stops are easy to get to, there’s parking and they get a lot of foot traffic.